Produced by heating "carbohydrates", it is commonly used in flavouring and topping. Sugar is put through a controlled heating process and the color produced, as a result of this process, is used in a wide range of foodstuff. Produced by heating "carbohydrates" in catalyzers presence, it is one of the most commonly used food color. 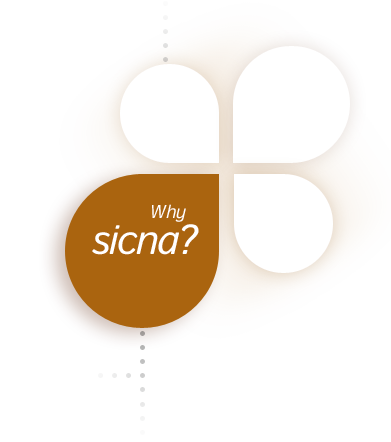 SICNA produces high tailor-made products and services. We are able to adapt our products to the technical specification required by our customers. SICNA constantly provide improvements in responsible and ethical business practices in the global supply chain.